The Fourth of July was only days away but Souza, 65, a maestro of the nation’s Independence Day fireworks, seemed not a bit nervous. In a corrugated tin shack, workers for his Rialto company, Pyro Spectaculars by Souza, attached electric igniters to shells that would soon explode in the skies from San Diego to Newport Beach and Riverside, to San Francisco and beyond. Nearby, others glued small red, white and blue torches onto a bamboo frame where they would light up an American flag on the stage of the Rose Bowl, the Southland’s biggest fireworks show. 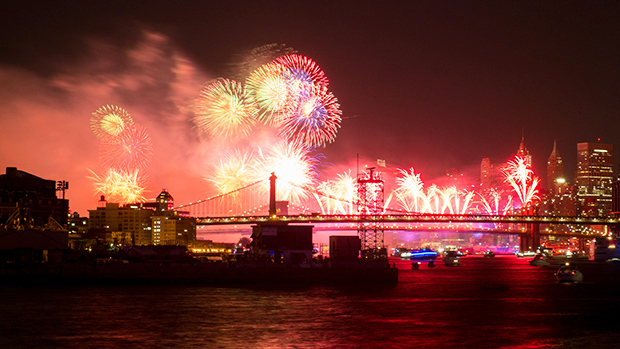 Behind the patriotic hoopla of America’s birthday celebration, five generations of Souzas have built a logistics powerhouse that mounts 400 Independence Day spectacles a year, including the country’s biggest, Macy’s 4th of July Fireworks in New York City, broadcast nationwide on NBC. On the Rialto property, more than 120 rental trucks were lined up last week, ready to load. In a nearby hangar, boxes stamped “Made in China” were stacked high and labeled: Crackling Willow Flower, Silver Brocade Crown, Smiley Face, Thunder King. Destinations were scrawled in black marker: Fountain Valley, Catalina Island, Milpitas, Fresno, Bakersfield Speedway, Sebastopol Kiwanis Club. Some 18 million people are expected to attend the company’s 127 spectacles in Los Angeles, Orange, Riverside and San Bernardino Counties this week. “The Souza name is recognized globally for high quality,” said Julie Heckman, executive director of the American Pyrotechnic Association, the industry’s trade group. 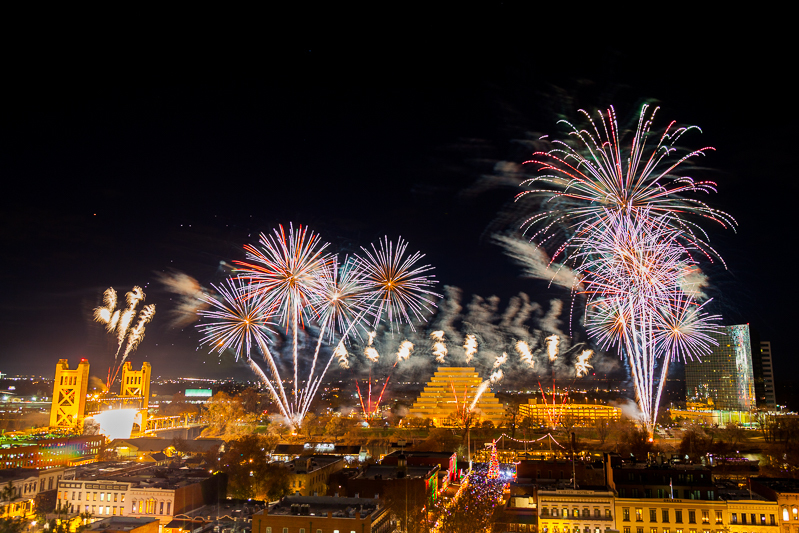 Nationwide, dozens of companies are in the pyrotechnic display business, including venerable East Coast outfits such as New York’s Fireworks by Grucci and Pennsylvania’s Zambelli Fireworks. Like its competitors, Pyro Spectaculars is a small firm, with 50 full-time employees and about $25 million in annual revenue. But in the Western U.S., it is the biggest player, a stand-out for its century-plus history, its massive audience size, and its record of technical and artistic innovation. Sixty percent of Pyro Spectaculars’ business consists of Independence Day celebrations, with some 4,000 licensed technicians and their crew members join its workforce to mount the shows. In his Rialto office, adorned with trophies from international fireworks festivals, Souza scrolls through a computer spread sheet for the Macy’s spectacle: 60,000 shells to be launched from five East River barges. Soft-spoken, with wavy gray hair, he is dressed in jeans, sneakers and an open-collar shirt embroidered with the company logo. The room fills with the soaring crescendos of the Star Spangled Banner. 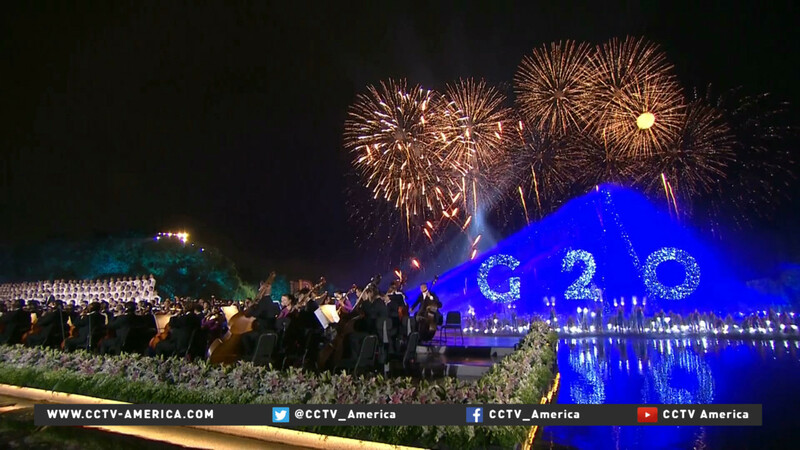 As a soprano sings “at the twilight’s last gleaming,” Souza said, red peonies will zoom skyward. With “the rockets’ red glare, the bombs bursting in air” will come a spray of thundering silver flowers. And then the finale: “the land of the free and the home of the brave,” will be accompanied by a mile-wide display of red, white and blue sparkles descending to the water. From a table next to his desk, Souza picked up a model of his latest creation. “It is called ‘the magic peony,’” he said, his eyes lighting up. “It goes up in the sky, bursts into a flower and then turns into a happy face. On the wall, alongside photographs of his shows at the Golden Gate Bridge and the Salt Lake City Olympics, hangs an oil painting by Souza himself. It depicts tugboats and barges preparing for the Fourth of July beneath the Manhattan skyline. A resident of Laguna Beach, Souza participates in local plein-air painters association outings in his spare time. Souza had caught the fireworks bug early. By age 12, he was accompanying his father, Robert Souza, to shows, lighting fuses with a torch at county fairs. Souza majored in business at the University of Portland and went to work for Bechtel Corporation, the engineering giant. He lasted a year. The package was a hit and, in a year, the firm doubled its business. The concept has endured, too; it’ll be featured this year at the Rose Bowl. The national expansion led to broader opportunities. The company has mounted fireworks at the Hollywood Bowl, for rock groups such as the Rolling Stones, Pink Floyd and Bon Jovi; for sports teams from the Dodgers to the Rams. Brad Pitt and Jennifer Anniston hired Souza for their wedding fireworks. Last month, he staged a massive show from five barges off Hawaii’s Waikiki Beach for 900 sales representatives flown in by a Japanese cosmetics company. Competition in the fireworks industry has exploded over the past decade, according to Heckman of the pyrotechnic association. Pyro Spectaculars has mounted shows in Canada, Mexico, Germany, Portugal, Spain, Somalia, South Africa, South Korea, Japan, China, Hong Kong, Singapore, the Philippines, Australia and Israel. “We are busy nonstop all over the world,” Souza said. 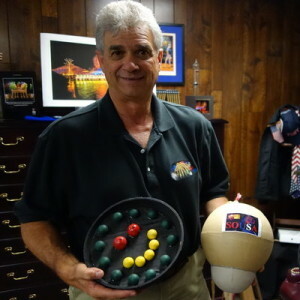 His company offers 4000 types of fireworks varying by color, size and configuration. And he often travels to China where he outlines his ideas to manufacturers. Although Pyro Spectaculars also buys from the U.S., Spain, and other countries, China, where 75 percent of the world’s display fireworks are made, is its main source. U.S.-made shells are down to 5 percent of the market in the wake of stepped-up Dept. of Homeland Security controls on plants that make chemical explosives, Heckman said. Sparkling flowers and happy faces aside, however, the Souzas are well acquainted with the lethal side of the business. James’ great grandfather, Manuel, immigrated in 1906 from Portugal to Oakland where he made fireworks for religious and community festivals. In 1939, he lost an arm when he picked up a dud that had failed to ignite in the sky and it exploded in his hands. In 1969, James’ father, Robert Souza, was firing a fuse with a torch at a San Francisco show. The shell went off in the mortar and he lost mobility in one hand. A colleague lost his hand entirely. Technicians in some small shows, particularly in the Central Valley, still use torches for the thrill of it, but most displays today are ignited remotely through a circuit board or by pressing a key on a computer. More recently, two deadly explosions brought unwelcome publicity. In 1987, a 24-year-old worker blew himself up in one of the company’s Rialto bunkers. The blast ignited a 1,500 foot fireball, destroyed nearby structures and vehicles, and hurled concrete chunks over a square mile, shattering windows and downing power lines, according to news reports. In 1996, a 57-year-old employee was killed and a co-worker was injured by an explosion as they were loading fireworks onto a truck. With development encroaching its Rialto facility, the company now stores its shells in 14 underground bunkers at March Air Reserve Base outside Riverside. During two terms as president of the pyrotechnic trade association, Souza was a forceful promoter of tough safety standards, Heckman said. “Members of the industry don’t always agree on safety distances,” she added. “Or on the use of electrical firing. Or on size limits on aerial shells. They don’t always agree on the length of training for technicians. 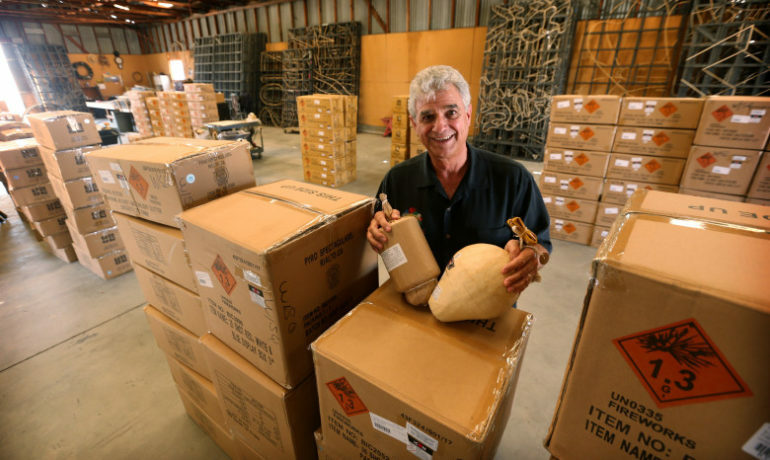 If safety, artistry and smooth logistics are keys to success in fireworks, an equally important ingredient for the Souzas is family tradition. “We’ve been full of passion and pride for five generations,” Souza said. His brother Gary, a Diamond Bar physical therapist, devotes a good part of his year to organizing the Macy’s show. His sister Nancy and her husband Ian Gilfillan run the Sacramento office with the help of their two sons. And Souza’s two sons, Paul and Christopher, work full time in the company, handling IT, inventory control, purchasing and technician training along with designing and producing shows. For the time being, Souza is not ready to retire. “That’s a word that doesn’t exist in Portuguese,” he jokes. Previous PostCountdown to Independence Day; Canyon Lake’s biggest party of the year.